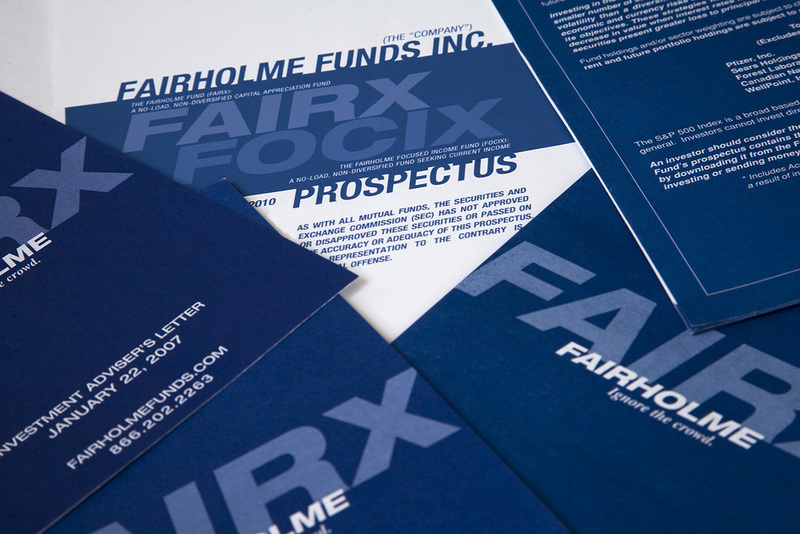 In 2005 Fairholme Capital's Bruce Berkowitz tasked Lanzara Studio with reconceptualizing and producing websites for Fairholme Capital and the Fairholme Fund, the success of which led to a fruitful and close 10+ year relationship that covered all aspects of Fairholme's creative marketing and branding. 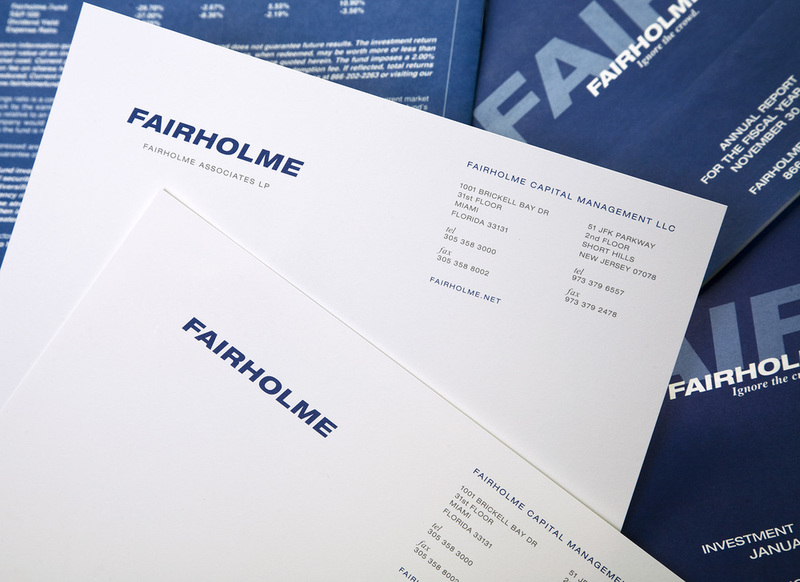 In addition to the early websites and subsequent iterations, we produced a new logo and tagline, new corporate identity, and communicated Fairholme's value investing philosophy and tenets in terms that laypeople would understand and feel comfortable investing in. 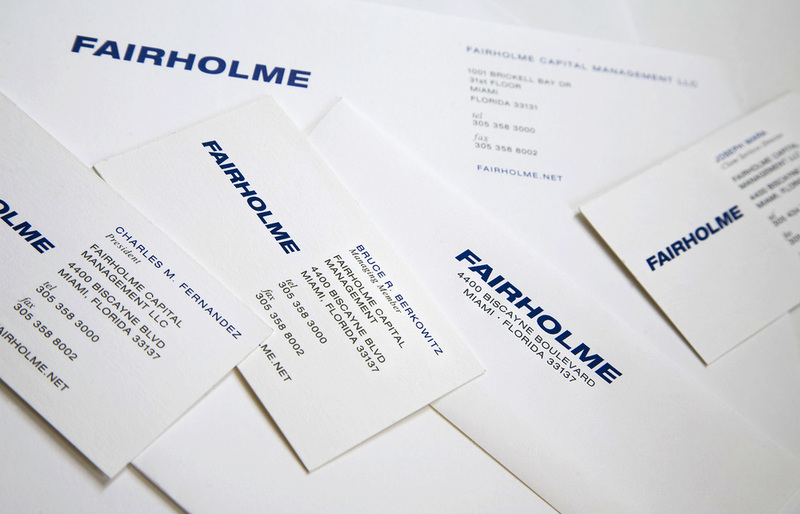 Over the years we have led or had a hand in scores of client-touchpoint projects related to Fairholme's communication design and creative marketing: from prospectus design and production; private presentations in print and digital formats; design and development of Bruce Berkowitz's personal blog; trade show booth design and production; investor relations communications; application design; development of websites to promote specific investments; and design and development of client account interfaces - to name just a few projects. 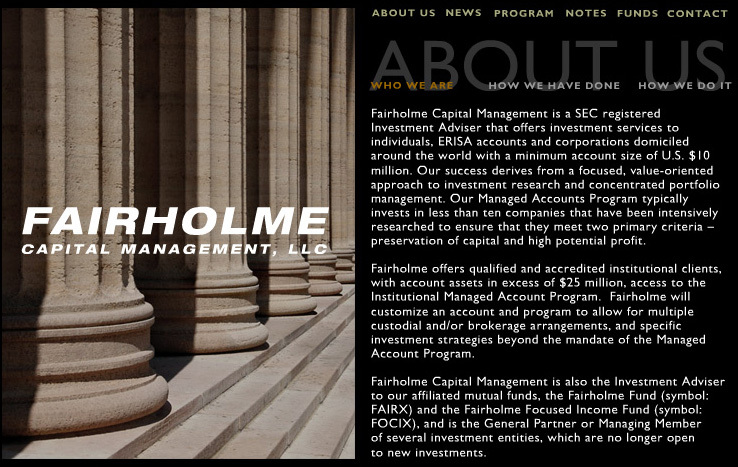 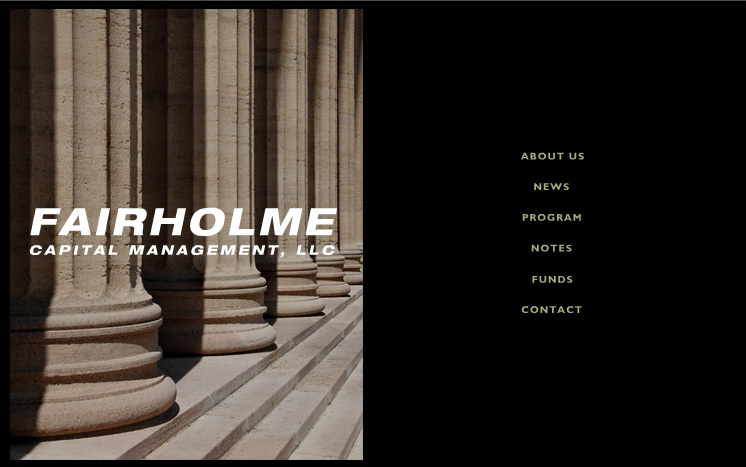 The first phase of our work, from 2005 through 2011, saw the Fairholme’s assets under management increase stratospherically from under a billion dollars to about $20 billion, most of which was due to new investment inflows rather than capital gains. 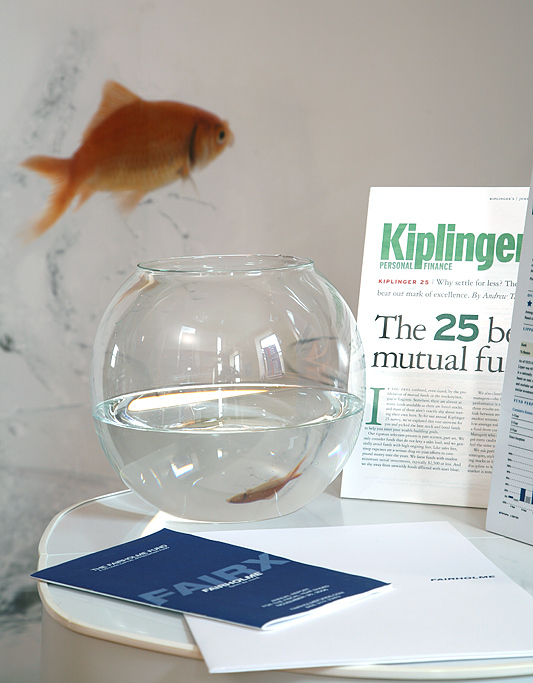 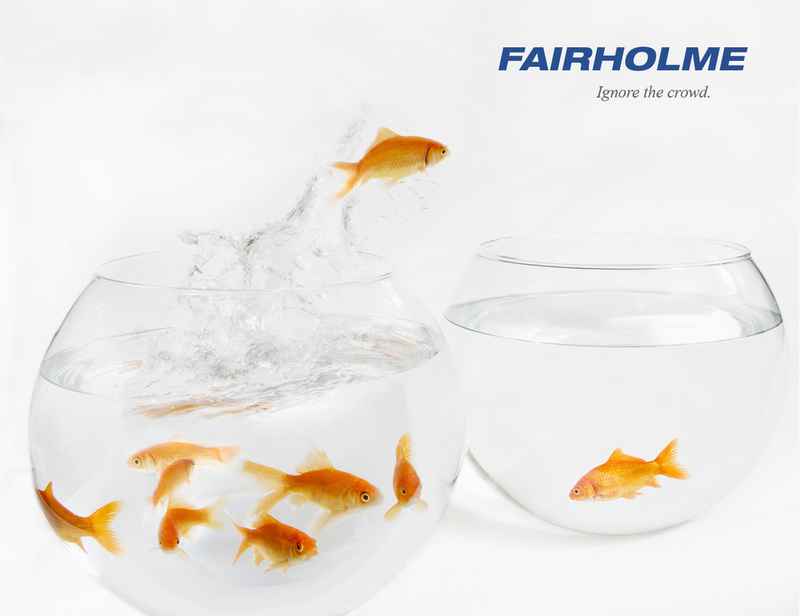 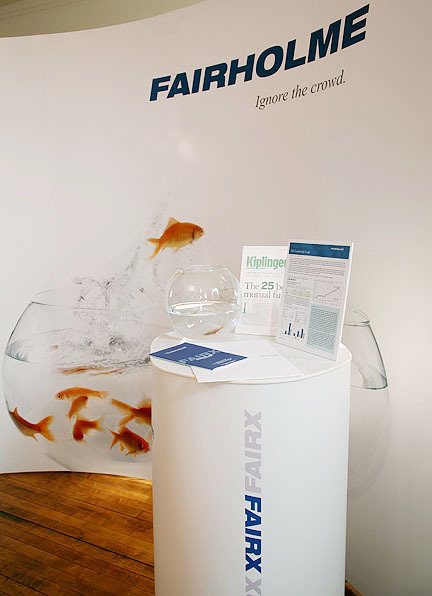 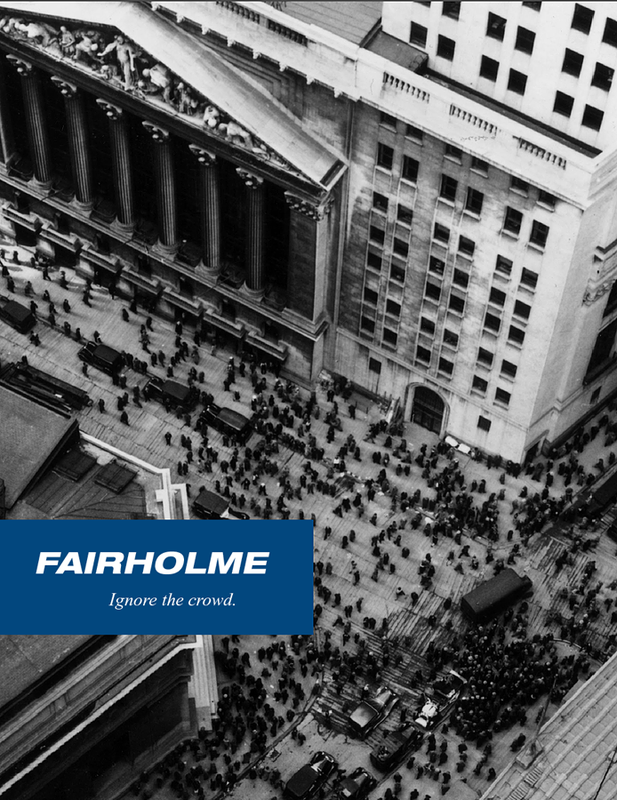 Though correlation does not necessarily equate to causation, and Fairholme's performance was the major draw, we believe our unorthodox creative and irreverent tone played a part in cutting through Wall Street's staid image to catch the interest of 500,000 investors who sought to "ignore the crowd."